The new Discovery has rounder windows and rounder front and rear ends. 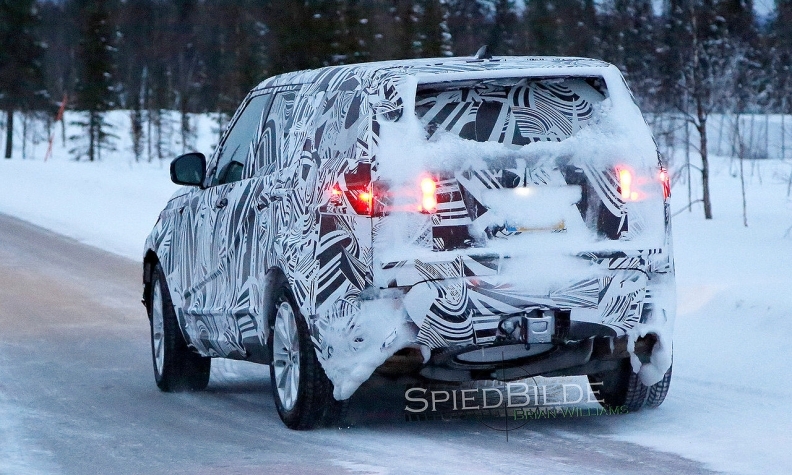 The redesigned 2017 Land Rover Discovery will be less boxy and feature a rounder, more fluid design than its predecessor, spy images show. 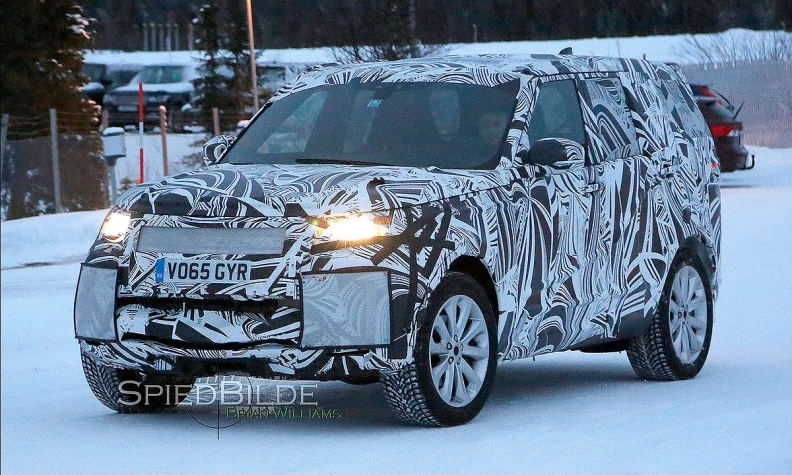 Photos of a heavily camouflaged fifth-generation Discovery emerged late last week and show it will have many design cues from the Discovery Vision Concept that Land Rover revealed in 2014. The new Discovery, which replaces the fourth generation known as the LR4 in North America, appears to feature rounder windows and front and rear ends than those of the current model. That puts the new Discovery in line with the rest of Land Rover’s newly redesigned vehicles, which have largely abandoned the brand’s boxy look. The new Discovery follows the debut of the Discovery Sport midsize crossover, which replaced the LR2 in the United States and the Freelander elsewhere. Like the 2017 Discovery, the 2016 Discovery Sport took many of its design cues from the Discovery Vision Concept. The Discovery is expected to feature the same bonded and riveted aluminum body used on the Range Rover and Range Rover Sport SUVs. The Discovery will also be built alongside the Range Rover and Range Rover Sport at Land Rover’s plant in Solihull, England. Land Rover’s new Discovery family is the second for the automaker after the three-model Range Rover line, which consists of the full-size Range Rover and Range Rover Sport SUVs and the compact Range Rover Evoque crossover. A third line of Land Rover SUVs, the Defender, will also be updated after a brief hiatus. Land Rover sold 9,031 LR4s in the U.S. last year, a 93 percent increase from 2014. U.S. sales of the Discovery Sport totaled 7,611 in 2015.